Because of his beloved famous father, Manute, and his own similarly pronounced height, Bol Bol has been on the national radar since he was a 6-foot-5 middle schooler, casually blocking the shots of normal pubescent boys. 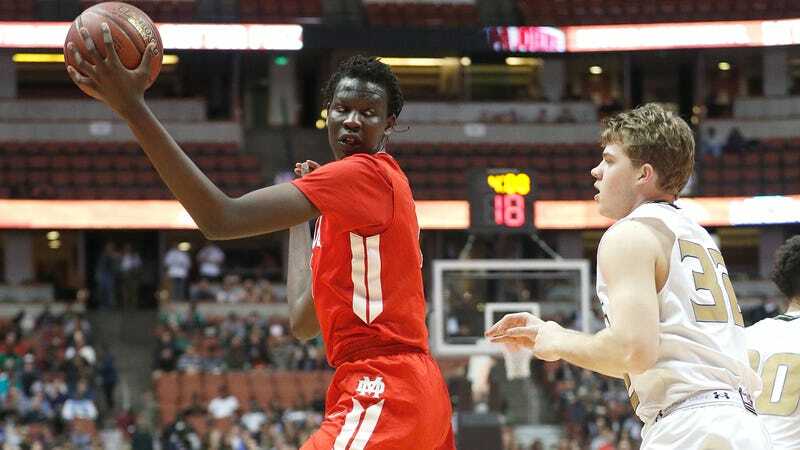 Now, the now 7-foot-1 high school senior has chosen to commit to the University of Oregon, where Bol will finally give fans a chance to see him play against some real competition. As anyone who’s salivated over his highlight reels knows, Bol Bol in the Pac-12 will be must-watch TV. What’s great about the teenaged Bol is the level of comfort he already has in his own body. He’s not just a gangly mess of limbs, but someone who knows how to weaponize his tremendous physical advantages. Instead of just staying by the rim and being a passive target for lobbed passes on offense and a protector on defense, Bol likes to move all around the court. 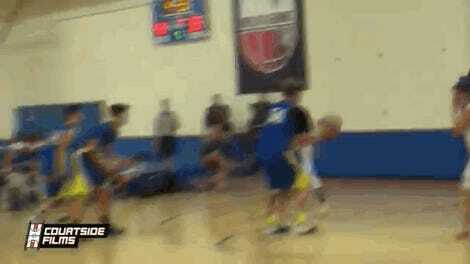 He can dribble better than any seven-footer has a right to, and he’s a threat from outside. Coming off a one-point Final Four loss to North Carolina, Oregon is projected to be significantly worse this season, with almost all of their relevant players graduating, transferring, or declaring for the draft. But Bol, along with fellow five-star recruit Louis King, makes the 2018-19 Ducks an immediate contender to bounce right back deep into the NCAA Tournament. Bol will likely only stay for one year, though, as he’s projected to go as high as the number-two pick in the 2019 NBA draft.